This is a nice little 1.5 x 2 x 3.5 inch precision charger which uses switchmode technology rather than transformer technology. 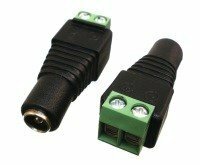 Switchmode makes it smaller, lighter, more efficient, and ensures a high degree of voltage regulation no matter what the AC input voltage is. This makes it particularly useful when the car is a long way from the AC outlet because it compensates for AC voltage drop in the extension cord. 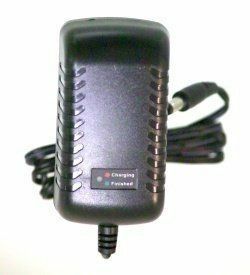 Function 12 Volt battery charger for lead acid, sealed lead acid, etc. Type Wall mount battery pack Charger for R/C, Robots, motorcycles, bicycles, scooters and instruments. Safety PSE, CE, UL listed under specification UL1310 (ANSI 1310), Class 2 battery charger. CE marked, designed to EN60950, GB4946, UL1950. Panel displays the rate of charge rate, operating mode, fault codes & charging complete.